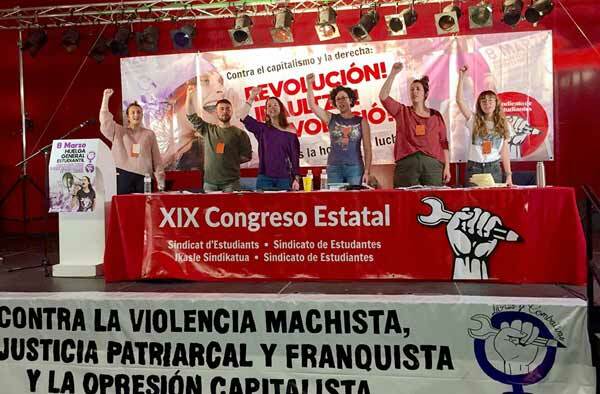 Socialist Alternative in the US has published special material for International Women’s Day 2018 in the March edition of its newspaper. This includes a detailed analysis of the mass movements of the ‘60s and ‘70s’ in the US written by Erin Brightwell and Rob Darakjan. Just a couple of paragraphs from that article are a fitting introduction to all the articles we will be carrying over the next few days and especially the article below which covers the present day situation after a year with Donald Trump as the country’s president. “…At its best, the early American radical left was on the front lines of fighting for women’s rights, especially in organizing extremely exploited women workers. The Industrial Workers of the World and socialist activists like Elizabeth Gurley Flynn, for example, played a key role in the famous “bread and roses” strike of 1912 by immigrant women textile workers in Lawrence, Massachusetts. “It was also the Socialist Party which organized the first Women’s Day march in 1909 in New York and inspired the Socialist International to adopt it as an international day of action for working class women the following year. On the first day of Donald Trump’s presidency, millions of people took part in the Women’s Marches across the country to voice their fierce opposition to Trump’s sexism and bigotry. Since then, the #MeToo movement has come to the fore throughout the United States with women bravely sharing their stories and demanding an end to sexual harassment and violence. Hundreds of thousands came out to this year’s Women’s Marches with a hunger to carry the movement forward. In order to build on the #MeToo momentum, a growing women’s movement needs to fight back against all forms of sexism that affect the majority of women in the U.S. like lack of affordable housing, low wages, and lack of access to high quality reproductive care. With 54% of American women saying they have experienced “unwanted and inappropriate sexual advances” at some point in their lives, sexual harassment and assault are some of the starkest examples of the violence women face under capitalism. However the attacks certainly do not stop there and neither can our movement. A lack of financial resources and options is the number one reason that victims of domestic violence cannot leave abusive relationships. When women are trapped in violent and abusive relationships, they are often asked “why did you stay?” For many, the answer is that they can’t afford to leave. There is a dire lack of affordable housing in many major cities. Not only is there a danger of becoming homeless after leaving an abusive partner, the act of even reporting a partner for domestic abuse could lead to an eviction. The women’s movement should fight for rent control and publicly funded high quality affordable housing paid for by taxing the super rich! Women make up the majority of low wage earners in virtually every state. Women – black and Latina women in particular – make up a drastically disproportionate number of low wage earners in the U.S. Women make up 58% of those who work in occupations that pay less than $11 an hour and 69% of those in occupations who make less than $10 an hour. The majority of these women are single and nearly a third have one or more children at home. The criminally low wages paid to millions of poor and working-class women means they are at an increased risk of extreme food and housing insecurity. Super-exploitation has always been essential to the capitalists’ ability to make profits – racism and sexism are essential tools to keep working people divided. With women making up such a disproportionate majority of low wage earners, the women’s movement should join the energetic fight for a $15 an hour minimum wage that has won major victories in cities across the country! Nearly 20 million American women ages 13-44 in need of publicly funded birth control lack access to clinics that provide it. Trump and the Republican Party have repeatedly attacked Planned Parenthood in specific and a woman’s right to choose more generally. At state level, the Republicans have forced through one restriction on reproductive rights after another. These attacks have disproportionately affected poor women and women of color. Outrageously, women forced to carry an unwanted pregnancy to term face quadrupled odds of living below the federal poverty line. Women should not have to make the choice between being economically secure or having children. This is why we need to fight poverty as we take up the fight for free reproductive care and Medicare for All. The Roe v. Wade victory was won under the conservative Nixon administration because women mounted a massive campaign to fight for it. We need to do the same under this Trump administration! The #MeToo movement has successfully taken down serial abusers like Larry Nassar and Harvey Weinstein and it has given confidence to millions of women who want to fight back against sexism on all fronts. In order to win high quality affordable housing, $15 an hour minimum wage, and Medicare for All as well as real reforms to tackle sexual violence and harassment in the workplace, the women’s movement will need to link up with the struggles of the broader working class, especially black people, immigrants, and young people. As well as a mass movement, we need an independent political force in the form of a new party that is truly accountable to working-class people unlike the Democratic Party which is tied by a thousand threads to the insurance companies and big business. Sexism cannot be fully rooted out of a system that needs it to survive, so our fight to end sexism, racism and inequality requires a new system organized on a truly democratic, socialist basis!